A few days ago, a fellow tea connoisseur went to the Quilliam Brothers Tea House for lunch. We had heard many good things about the tea house, and enjoyed their tea but never got round to visiting for lunch. We were seated at a quirky spot under the stairs in the basement on cushions at a low table – we were asked if we wanted to wait for a table, but as time is precious in a short lunch, we accepted. We weren’t put off the basement either – it is bright and airy like the upstairs with sketches and paintings on the walls decorating the exposed brick walls. After getting comfortable, we were offered the extensive tea menu and food menu. We placed our order shortly after and waited for our food and tea. Our tea soon arrived in a pot ready to drink having been brewed for the required time. I had chosen the first flush Darjeeling which was a light and delicate brew, along with a mustard, chive and cheese scone, then a moist and tasty carrot cake with decent chunks of grated carrot and nice sweet icing on top. 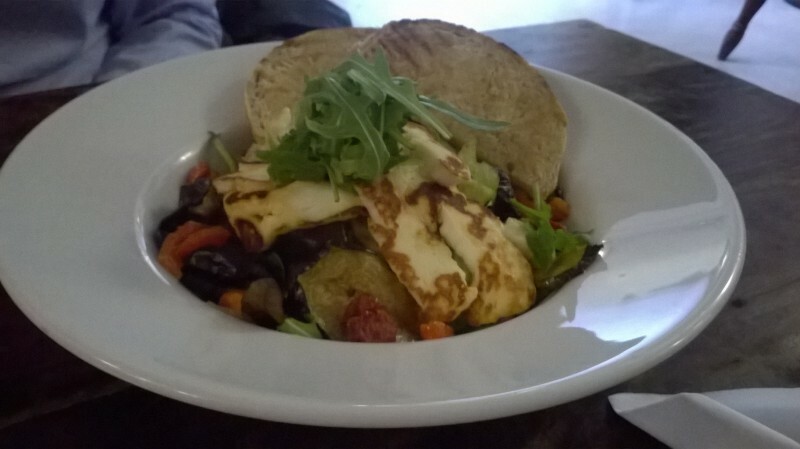 Our experience of the Quilliam Brothers Tea House was excellent – the tea and food was very good and reasonably priced and the service friendly and quick. It was with stiff legs and full stomachs we had to reluctantly go back to work.